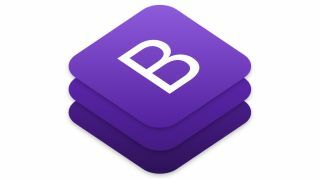 Get started with the most simple and intuitive HTML website building framework, Bootstrap. While there are a number of reasons to use free Bootstrap themes, the biggest are that it's easy to use and has a mobile-first approach. This makes it an excellent choice as the framework for a website builder. But it's not just for beginners; Bootstrap is a great choice for experienced web developers, too. Here's a selection of some of the best free Bootstrap themes out there. Elegant, simple and suitable for all manner of purposes, whether you're after a straightforward agency site or something more corporate, Polaroyd is a great-looking and versatile Bootstrap theme with plenty of neat features. It boasts a unique animated header gallery, full screen menu and blog page templates, plus retina-ready visuals and all the cross-browser compatibility you need. If you're after a clean design to promote your design agency, portfolio or freelance business, Neat might the perfect option for you. This free HTML5 Bootstrap website template features a jQuery counter, subtle homepage animations and hero image slider to show off your best work. A .SCSS file is included in this template, making it easy to customise. All of the interface elements in this great UI kit have been restyled to fit with Google's Material Design system. There are 60 components as well as three fully coded example pages to get you started in this free UI kit. The $79 pro version includes 1000 components, seven plugins and 11 example pages. As the name implies, this is another one-page Bootstrap theme that offers a clean yet colourful look. Although this template has a 'gym related theme', it has the potential to work for other industries as well. There's even a live typing effect in the header. If you're looking for something simple to use for a landing page or coming soon web space, here's a great template from Carlos Alvarez of BlackTie. Its demo version hosts annotated screengrabs and simple buttons that show off an app product. Quite possibly the purest theme on the list, Magister by Sergey Pozhilov offers a beautifully simple design that's ideal for portfolios and coming soon pages. The subtle animation between page changes gives this template a nice touch.